I’m fresh off a challenging but exciting 12-miler as I write this (Sunday afternoon). With only a month to go to the Half at the Hamptons, things are really starting to click. The workouts are hard, but I’m hitting and maintaining paces that I KNOW only a few months ago would have been impossible for me. It’s exciting but also nerve-wracking because now I’m beginning to worry about all the factors that are totally outside of my control. What if we get a snowstorm and the race is cancelled (definitely a possibility for a March race in NH…) What if there’s a terrible headwind and I just can’t hit the paces? What if, what if, what if. I know it’s not practical to worry about these things since there’s zero I can do about them, but the thoughts are still popping into my head. 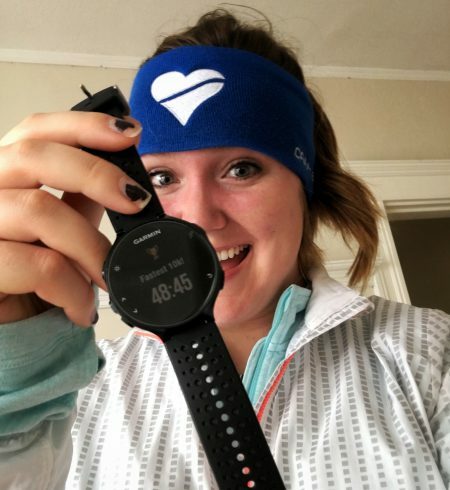 Monday – Easy 6 miles on the treadmill and my last miles of January! I ran 165.7 miles for the month. Pretty stoked about that! I bet I can beat it in February even with it only being 28 days though because I know the training is going to continue to ramp up. Wednesday – Workout on the treadmill. It came out to 8.6 miles and consisted of: 15 minute warm-up, 1 mile at 7:20, 2 min recovery, 3 miles at 7:40, 2 minute recovery, 1 mile at 7:10. Boy do those 2 minute recoveries feel short… This one was another tough workout and it didn’t help that I had forgotten my headphones, so I had togut it out and shut down the negative self-talk as I got progressively more tired. I tried to think of it as mental strength work. 🙂 I ran this one early in the morning and felt a little tired walking around the rest of the day but not terrible. The next day though – HOLY DELAYED ONSET MUSCLE SORENESS! My quads were toast. I also got new shoes on Wednesday which I was excited about. 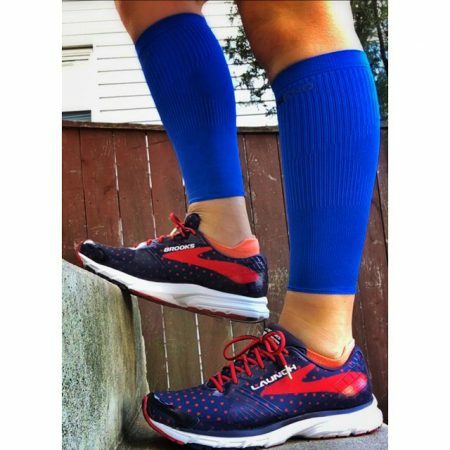 I’m trying out the Brooks Launch 3. Review to come! Thursday – Easy 5 miles on the treadmill. I was surprisingly more sore walking around than I was during this run, but I still kept it nice and easy. Friday – Easy 6 miles on the treadmill plus some core work. Saturday – Easy 6 miles outdoors around my favorite loop. 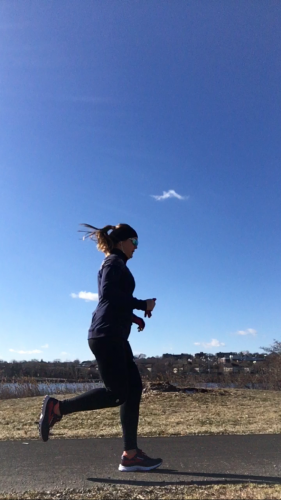 The wind was rough but it felt nice to be off the treadmill. Set 1: Mile 1 – 7:31, Mile 2 – 8:03, Mile 3 – 7:32 (NAILED IT, but also starting to feel really tired). Set 2: Mile 1 – 7:37, Mile 2 – 8:25, Mile 3 – 7:27. This second set is where things got interesting. I had to fight tooth and nail for that 7:37 in the first mile. I felt like I hadn’t recovered at all on my measly 2 minute recovery and I had to launch into another 7:30 mile??? My legs were not having it. So I started that interval with my pace hovering around 7:45. And I got angry. And I thought about how I was going to completely fail at the paces on this second set. And then somewhere in there I realized I could still fight. The mile wasn’t over yet. I managed to get it down to 7:37 and was happy with that. But then I was wiped out again and my pace fell off on the 2nd mile while I recovered and mentally prepared myself for the last mile. This last mile I’m very proud of though. I knew it was the end and I promised that I was going to give it everything I had left. I had felt so spent running that 7:37, but somehow I turned around and ran a full 10 seconds faster only 8 and a half minutes later. I think I’m beginning to learn that these workouts are as much mental as they are physical. Self-talk is having a huge effect on my ability to keep pushing myself through the interval (or not). It’s something I need to continue to pay attention to and work on, especially so that I don’t turn on myself when things get tough during the half. How was your week? Did you watch the Super Bowl yesterday? Any plans for this week? This entry was posted in Run Fast, Training and tagged 2 Generations Running, Half Marathon Training, Workouts. Bookmark the permalink. I wouldn’t say we necessarily watched the Super Bowl, but it was definitely background noise while we all socialized! This week I’m pretty busy, which includes added more miles onto my training!! Haha, well I gave up at the beginning of the third quarter so you may have seen more than me! Good luck with your training this week!